Deejay Ros, a musical powerhouse hailing from Metz (France) pulls you into his universe through mastery of beats and his own unique style. He sprinkles each tune he touches with that extra something special that makes him a standout from the rest. His passion, expertise, and strive for perfection infuses his work with energy and spice. Inspired by an array of diverse artists including DJ Q-Bert, Roc Raida, DJ Premier, Frankie Knuckles, Tchami and DJ Snake, he launched a monthly Itunes podcast to exhibit his unique concept “The Club Love Soundz.” This explosive cocktail of new Hip Hop & Electronic music is enriched with Ros’ singular vision. Ros has had the opportunity to travel much of Europe with his beats and unstoppable energy – entertaining party goers from Luxembourg to Belgium, Germany and France amongst many others. In 2013, Ros left Europe with a vision to conquer Asia. He is now achieving that vision with residencies at prestigious clubs and 5* hotels such as the W hotel, Hyper & Catwalk in Guangzhou (China), Phuket (Thailand), The W Hotel (Hong Kong) & Play Club in Hong Kong’s world famous party district Lan Kwai Fong where Ros has been resident DJ since 2014. Deejay Ros has gained considerable experience and knowledge in the industry to be able to perform as an open format DJ playing a variety of styles to a diversity of audiences. Within the company, Ros has had the pleasure of performing for a variety of venues and special events in Macau such as 38 Lounge in Altira, Bellini Lounge, the opening of the St Regis, The new years eve celebrations at both the Sheraton and the Parisian, and the Mercedes-AMG driving performance event at The Venetian Macao. Deejay Ros is often picked out from the crowd for his musical eclecticism and his energetic mixes that enables him to fully satisfy the tireless clubbers and music lovers, making each night with Ros a memorable experience. In 2018 Ros joined “Broderskab”, a group of inspiring artists creating and sharing music and video worldwide. 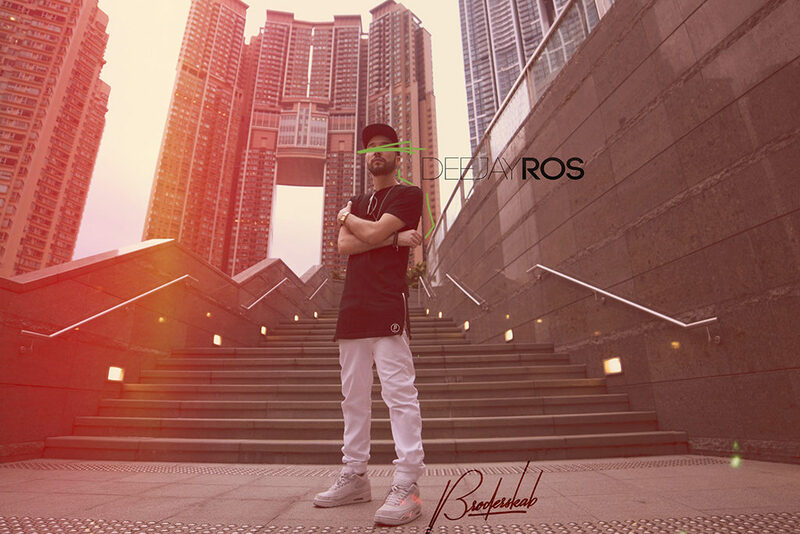 So stay tuned for Deejay Ros – his style, beats, versatility and charm are not to be missed.